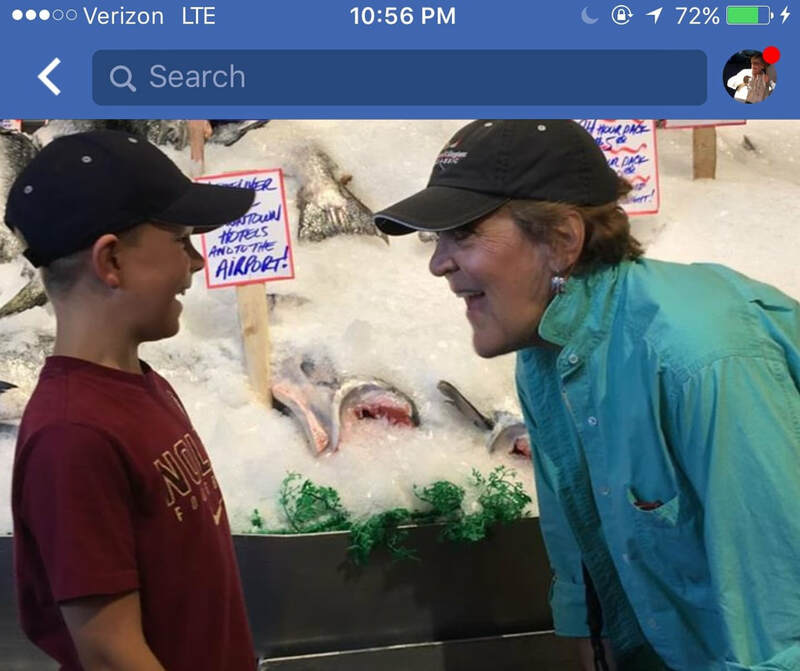 About Patricia Burgin - SeattleCoach! "Connection. Curiosity. Challenge." “Go into life and work thinking, 'Hit the ball to me!'" As a leader, facilitator, speaker, author and coach of leaders, Patricia ("Patty") Burgin has advised and mentored thousands of individuals and teams toward better performance, communication and meaning. Following stints in the international leadership of a Christian non-profit, as a conference speaker, as a tour leader in the former Soviet Union and as a Licensed Marriage and Family Therapist, Patty founded SeattleCoach in 2002 and began to coach and facilitate exclusively in 2005. She holds two master's degrees, one in Theology and a second in Applied Behavioral Science. In addition she has joined the top three percent of credentialed coaches worldwide to have been awarded the title of "Master Certified Coach" by the International Coach Federation (ICF). In 2008 she launched The SeattleCoach Professional Coach Training and Development Program for executives who see coaching as an extra--and increasingly essential--gear in their leadership engine. The program is accredited by the ICF, and over 275 "SeattleCoaches" who have completed the training, or soon will, are having an impact on the West Coast and beyond as both external coaches and as better leaders on the inside of great companies and organizations, including "Coaching for Leaders" at Microsoft. Whether it’s a class or a keynote, Patty values insight-creation as the crucial component of content delivery. “I love it when my brain lights up,” she says, “And it’s even better when everyone else's brains light up.” She works with an approach that is warm, practical, innovative, direct, playful and generous. With Patty's background as a competitive rower, and as past president of Interlochen Rowing Club in Seattle, she sometimes takes executive teams out on the water with her. When a team sits together to find balance in a racing shell (60' x 18"), the experience quickly produces both soggy metaphors and spectacular team learning. Her faith still informs her life and work, helping her to explore how human brains and relationships flourish, how we make sense of the tough stuff, and how we live out those big "what's-it-all-about" questions that we share through the arcs of our lives. She thinks excellent coaching is like grace: rarely intrusive, usually disruptive, more nuanced than announced, and just as much about "how" as "what." In 2016 Patty received the ACES Award from ICF Washington State. This award "recognizes a coach who authentically acts, motivates and inspires excellence and commitment to achieving goals that advance the development of coaches, the coaching profession and the coaching community. They exemplify outstanding achievements in leadership and are a visionary with major contributions to both the profession and industry of coaching." Click here to read comments from some of Patty's past and present clients. And click here to read about the origins of her work as a coach. John Medina / "Brain Rules"
Admittedly Patty is a bit of a free-enterprise geek, believing that: The marketplace is very discerning, and just about anyone can become an exemplary person with a compelling story and a service that the world needs. This, of course, means that good behavior--and a moral architecture that supports it--is non-negotiable to the process. This, of course, is where it becomes non-negotiable for each of us to put ourselves around great colleagues who share our values. And when a culture or an organization can attract, build and inspire large numbers of exemplary people, excessive control, direction, regulation and taxation get in the way of the magic. ​Two patron saints of the modern Professional Coaching Movement . 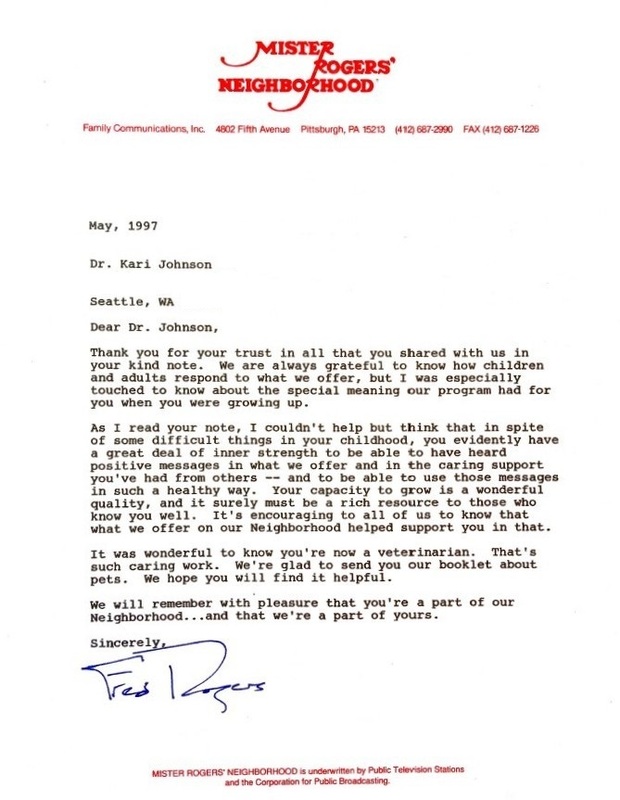 . .
Click here to read Mr. Rogers' letter to Patty's Partner, Dr. Kari, after she wrote to thank him for his influence during her tumultuous childhood.